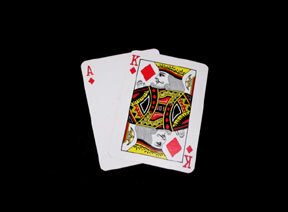 Max BlackCentred Board is a specialised board used for manufacturing high quality playing cards. Max BlackCentred Board has a black centre for true opacity and zero print-through. Made as a sandwich of two excellent coated papers, Max BlackCentred Board possesses high brightness and a coated surface crafted for optimum ink and varnish receptivity, giving outstanding finished results. Precise calliper thickness, not just from sheet to sheet within one lot, but also from lot to lot. Stiff, yet supple. Rigid, yet bendable. High-strength, zero warp, lay-flat and dimensionally stable. High Bulk, giving you the lowest gsm to thickness ratio in the market.